The El-Mann family has spent 35 years developing, leasing, selling and managing real estate across Mexico, maintaining its diversity with investments in industrial, retail and office properties. Andre El-Mann, CEO of Fibra Uno (BMV: FUNO11), the first Mexican REIT, says his family decided to take their company public in 2011 because they wanted the real estate market in Mexico to become more modern, with all the possibilities available to more developed markets. El-Mann says that Fibra Uno is an extension of what his company has been doing for many years. “Our commitment to our clients comes first, and they know we can deliver on time and stay in the game,” says El-Mann, referring to the company’s track record on development projects. El-Mann says he and his family decided to open a Fibra, the Mexican version of a REIT, for three main reasons. “We wanted to open up the market and have access to capital that we didn’t have before,” El-Mann says. To illustrate the benefits of going public, he cites a case in which an existing client wanted to add 200,000 square feet of space to an 800,000-square-foot facility. “If I can’t provide that, not only will I lose out on the 200,000 square feet, but I’ll lose the entire 1 million square feet, because they’ll find someone else to give them the space. Access to capital makes it easier to build additional space more quickly,” he says. The other two reasons for creating Fibra Uno are more personal. “As a family-owned business, we want to be ready for the next generation with an institutional, professionally managed business, so that running the company doesn’t automatically become the responsibility of family members,” El-Mann says. He also notes that Mexico is currently experiencing “tremendous property appreciation.” Whereas investors who own properties outright face a tax liability on those gains, shares in a publicly owned company are tax-deferred. El-Mann and his family have had to adjust to the fact that the Fibra structure means that decisions must be approved by independent members of the firm’s technical committee, outside advisors mandated by the Fibra structure who are akin to a board of directors, rather than by a quick phone call between family members. Even though the change has made the company less nimble than when it was privately held, El-Mann says the trade-off has proven to be worth it. Now that we are a public company, we have become even more of a magnet for companies who need space and also for those developers that do not have the scale to form a Fibra on their own,” El-Mann says. El-Mann says he has been satisfied with Fibra Uno’s performance. Since going public in March 2011, share prices have risen from 19.50 pesos ($1.47) at the IPO to about 28 pesos ($2.12) in July 2012. Augusto Arellano, the senior managing director with Evercore Partners Mexico who advised the El-Mann family and structured Fibra Uno, says Fibra Uno’s performance has been “exemplary,” since the company has raised $1 billion in roughly 15 months including the initial public offering and one follow-on equity offering. El-Mann wants to replicate the performance of U.S. REITs in Mexico. “I always look north to the U.S. to learn how a developed market compares to our developing market,” says El-Mann, noting he views diversification of property types in the Fibra Uno portfolio as a key to success. Grupo-E, the El-Mann family’s real estate company, and Fibra Uno’s investments are spread about 40 percent in the retail sector, 40 percent industrial and 20 percent offices. El-Mann also relies on the long-term philosophy of his family, which is very conservative and believes in keeping leverage extremely low. "REITs in Mexico are still in the early stage, but success breeds success." El-Mann plans to continue to grow Fibra Uno, particularly in the retail and industrial sectors. Arellano says other real estate developers have focused on larger cities, so Fibra Uno has decided to have a presence in places with less competition and an attractive market. In the industrial sector, El-Mann says he expects continued growth. International investors are beginning to explore the option of investing in Fibra Uno. At the time of its IPO, 75 percent of Fibra Uno investors were Mexican, while 25 percent were foreign. Now, about 60 percent of the investors are Mexican institutions and small investors, while 40 percent come from outside the country, says Arellano. Some global real estate investors may have been wary of Mexico’s security issues, but El-Mann says the problems have eased considerably in the past two years. El-Mann says he hopes more Fibras will enter the market in Mexico. After nearly a decade in the planning stages, REITs have been introduced in Mexico. Fibra Uno (BMV: FUNO11), the first Mexican REIT, began trading on the Mexican stock exchange on March 18, 2011. Fibras (Fideicomiso de Inversion en Bienes Raices), the Mexican version of a REIT, were first approved by Mexican legislation in 2003, but Augusto Arellano, the senior managing director with Evercore Partners Mexico responsible for structuring Fibra Uno, says the introduction of new taxes and the complexity of local challenges to REIT regulations delayed the debut of the first Fibra in Mexico. Marty Cicco, senior managing director with Evercore Partners, says the fact that historically the majority of Mexican real estate has been held privately bodes well for future REIT IPOs. “Real estate has been a relatively concentrated industry in Mexico. A lot of property is still owned privately there, so those owners could be good candidates to access the public market through a REIT structure and to raise more capital through a REIT,” he says. Cicco says two simultaneous market trends have encouraged REIT investment in Mexico. “The legislature approved structural changes that allowed property owners to put their assets in a REIT, and, at the same time, there was a regulatory shift that allowed pension funds to invest in REITs,” he says. Real estate contracts are inflation-linked, so the Fibras can adjust their price structure. Distributions must be paid in cash, which Arellano says should make Fibras more robust in terms of leverage and distributions. Fibras are established as a trust structure, which means they are internally managed and externally advised, rather than internally advised and managed like most of the U.S. REITs. Arellano says REITs provide the most efficient way for commercial real estate developers to access public markets while offering investors the ability to invest in liquid securities, rather than brick and mortar. 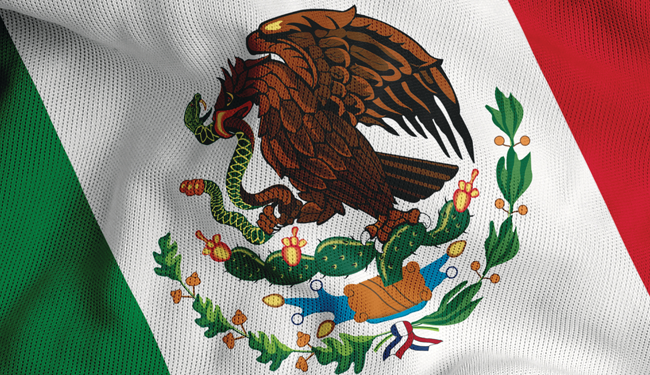 Marc Halle, a managing director for Prudential Real Estate Investors and senior portfolio manager for the Prudential Global Real Estate Fund (PURAX), says the REIT market in Mexico is thin, but developing. Cicco believes the fundamentals of underlying real estate values and a solid economy are in place in Mexico. Fibra Uno has a mix of asset classes, but Cicco predicts that the next few REITs in Mexico will be specialized by product type. Cicco says that while the initial Fibra Uno IPO was mostly driven by Mexican investors, after one year of operations and performance, Fibra Uno’s next offering garnered a greater diversity of international investors. Halle says Mexican REITs will need to educate global investors about their local markets, but he expects greater research and investment interest from international real estate investors as more public companies are introduced in the country. Foreign investors are particularly interested in political stability as well as security issues in Mexico. Arellano says the recent election of President Pena Nieto is not expected to have any negative impact on the real estate market and Fibras development, since he and his main advisors are pro-market and have a deep understanding of the importance of the financial market. A greater issue for some international investors has been the violence associated with drug cartels in Mexico. Cicco agrees that security problems may have held back some flow of capital into Mexico, but he says the issue should not have an impact on the real estate market.